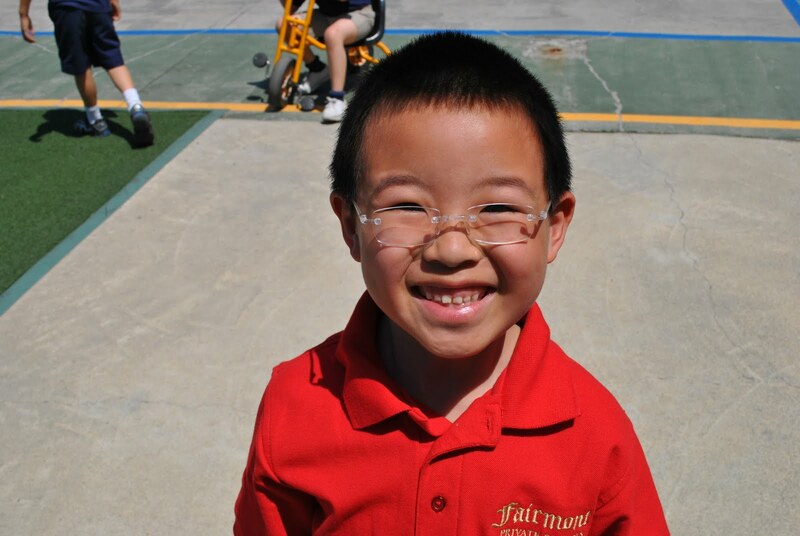 CHECK OUT THE EDGEWOOD SUMMER PROGRAMS VIDEO --and enroll online today! 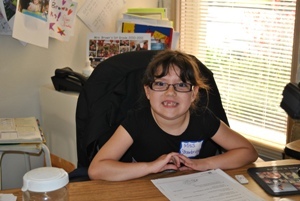 Kaitlyn and Ashley Strawbridge were the teachers for the day in first grade-and what a great job they did! Not only were they recognized with their "Teacher of the Day" titles, but they were our special helpers all day! Ashley even had to clean the desks at the end of the day just as Mrs. Brown does in the afternoon. Kaitlyn was constantly up and down, just like Mrs. Fraser/Ms. Montague. 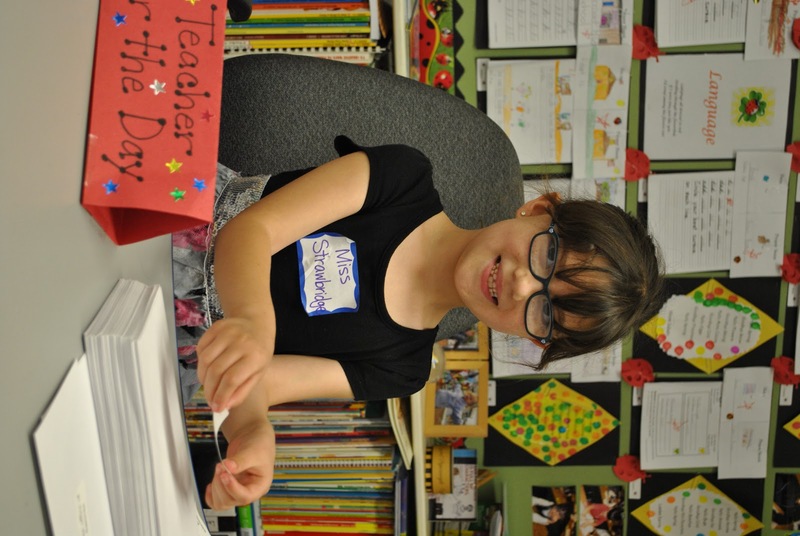 The students referred to each of them as "Miss Strawbridge." The girls got a kick out of this! Thank you, Miss Strawbridge and Miss Strawbridge, for a job well done! Next Monday and Tuesday mornings from 7:45 AM until 8:30 AM, all unclaimed uniform items will be on display at the back gate. For a donation (amount determined by you), you will be able to claim any uniform items from the display table. We have collected a large number of sweatshirts and other uniform items which have no student names for identification. We are asking for your help in avoiding this in the future. Please be sure to write your child's name on each clothing item and to check the Lost and Found regularly for already missing articles. Your help with this is greatly appreciated! Edgewood students! In 1994, Dale Hubert, a 3rd Grade teacher in Canada, began the Flat Stanley Project. He invited other teachers to take part by hosting flat visitors and to encourage their students to write their own Flat Stanley journals. The Edgewood flat "Traveling Talon" Mascot is being sent home so he can hang out with you during your summer vacation. Talon can hike a mountain, go on a cruise ship, meet Mickey Mouse at Disneyland, spend the night at grandma's house, water ski at the lake, surf at the beach, watch movies, go to birthday parties, and more. Take a picture of him everywhere you go! During the first month of school, we will gather your pictures and have a Traveling Talon assembly. You can post them on the Edgewood Facebook page. You can send one or two of your favorite Traveling Talon pictures to Mrs. Powell's email address, jpowell@fairmontschools.com. Save the date for the Last ECPA Meeting of the 2010/11 Year on Monday, June 13, 8:30 a.m. The ECPA is has an opportunity for you! We are looking to recruit a new Ways and Means ECPA member - whose duties will include organizing special events such as the Back to School Picnic, school assemblies, fundraisers, and the Annual Spring Fun Run.We are also looking for parent volunteers to assist the Ways and Means Office to chair some of these same events. Robin Gormin (Mable) and Yvonne DeVane (Edgewood) spent a sunny weekend at the Arts Alive Festival in Mission Viejo, a couple of weeks ago. The festival celebrated all avenues of art such as sidewalk chalk drawings, guitar making, throwing on a wheel, painting, drawing and even performing. The Fairmont booth featured recycled art made by our students. 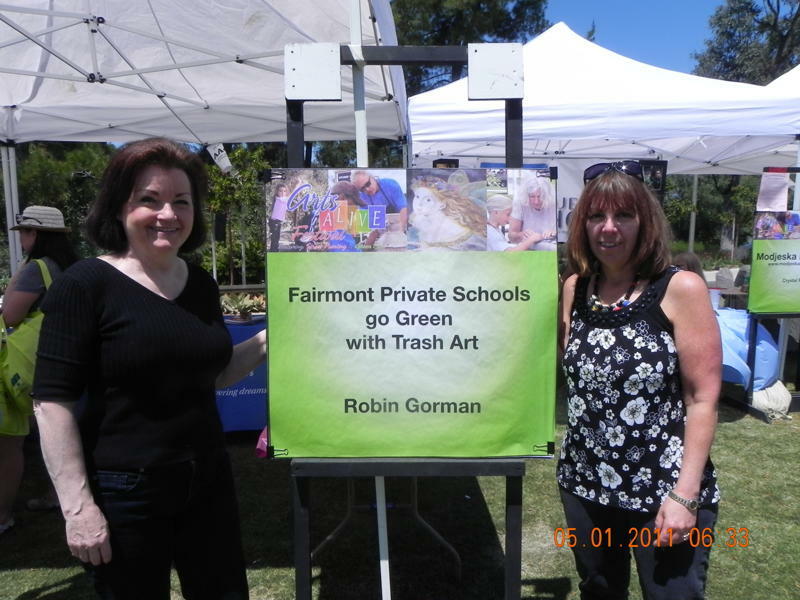 It was windy and hot but still fun, as Mrs. Gormin and Ms. DeVane explained the importance of recycled art and an education at Fairmont. Parents need to enter the churchparking lot from Vanderlip ONLY. We want to have one way traffic in that parking lot. If parents ask another person (grandparent, friend etc) to pick/drop off their child, they need to inform that person of the procedure. No running in the parking lots. Children need to stay by their parents' side in the parking lot at all times. Parents need to slow down in all the parking lots. Please no speeding. No parking on the red curb. Fill out forms below and return by Friday, May 20th. All Athletes who played on Junior High Sport Teams are invited.